We will celebrate our 26th year of outdoor summer camps in 2019 with our traditional 4-day camp program at locations throughout Bergen County. They run Monday through Thursday from 9AM – 1PM (Friday is a rain day) and include hitting & base running, fielding & throwing, and pitching & catching. We offer two levels of instruction in the summer – our Minors Program is designed for players between the ages of 6-12. 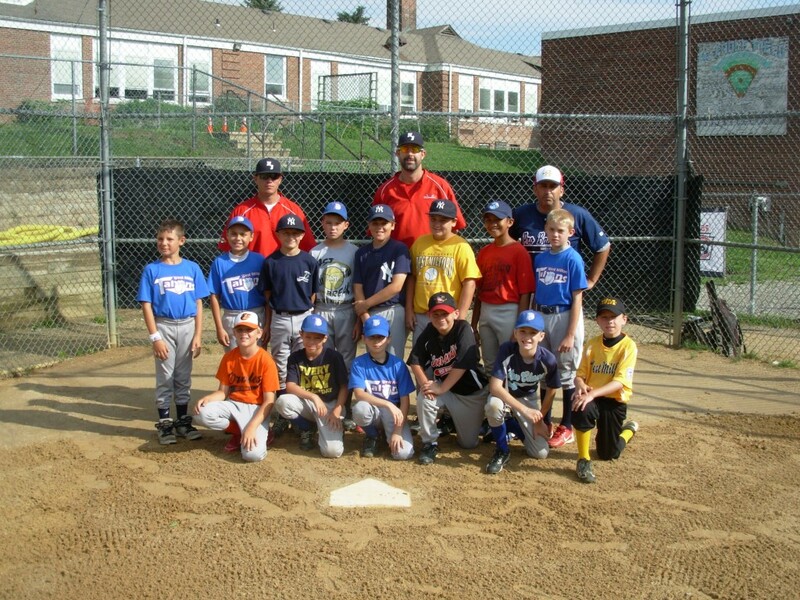 The Majors Program is for players between the ages of 12 and 16 playing on the 60/90 field. Coming to one of our outdoor camps and interested in additional private instruction? One-on-one lessons are available at any outdoor camp location. Call us TOLL-FREE 800-282-4638 in advance to schedule. WHEN WE MEET – Each camp consists of four 4-hour sessions from 9AM – 1PM Monday through Thursday with Friday used as a rain date. The week of July 1, we will meet 9AM – 2:30PM. WHERE WE MEET – Various town fields. ITEMS TO BRING – Each player should bring a baseball glove, bat, and batting helmet. Batting gloves are optional. All camper should wear baseball-appropriate clothing. NO JEANS, PLEASE. LUNCH – Each day we break for a quick lunch (approximately 25 minutes). PBI does not provide lunch for half-day camp, so players should pack a light lunch. GROUPING OF STUDENTS – PBI will be dividing the students into age and skill groups. Students will first be grouped by age, then may be moved according to skill level. Each group will be trained to match their skill level. WE DO NOT GROUP 8-YEAR OLDS WITH 12-YEAR OLDS. PBI has a maximum 8:1 student-to-coach ratio. WEATHER – In the event of questionable weather, call 800-282-4638 ext 7 for a recording with weather-related updates. In the event camp needs to be cancelled due to weather, we will typically make a decision by 8:15AM. On occasion, depending upon the specific situation, we may not make a decision until later. Fields must be in good condition to avoid possible injuries.